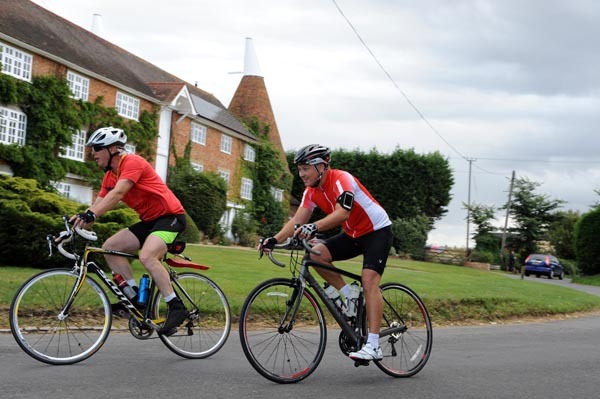 The Circuit of Kent is a special event for me – it was my first ever encounter with a cyclo-sportive. Even back then, the event was one of the longest-running of its kind in Britain and this year’s 16th edition has shown that it has only improved with age. Unlike me. Two flavours of route are available on the menus: the full size 130km or more easily digested 80km offering. Both feature the same main climbs, with the longer route have an extended flatter section mid-way. 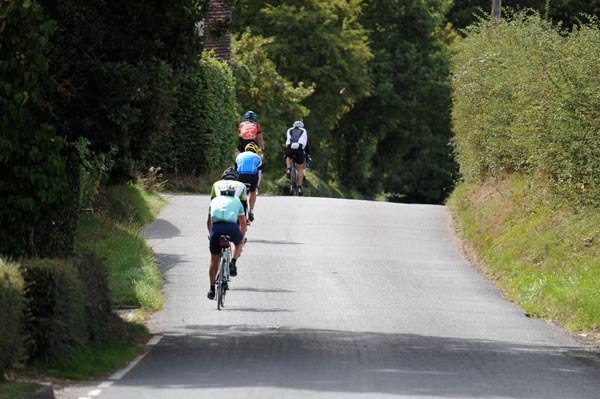 Although sportives are still derided in some quarters as being pseudo races or “for nodders”, the Circuit of Kent is an ideal example of the joys of taking part in such an event. I’d defy anyone not to enjoy it. The venue of Sevenoaks Prep School offering elegant surroundings and an on-site car park that easily accommodated the 900 riders and their vehicles. Riders line up for a 9am start, where they are sent of in batches of 20 or so before dispersing around the excellently signed Kent lanes. The vast majority of junctions have a marshal in place, calling whether the road is clear and warning traffic that an event is on. Sportive signage and marshalling is something that an organiser can get so wrong, but organiser Derek Williams had it sussed years ago. It leaves the riders to entirely enjoy whisking along the leafy lanes, past the area’s trademark oast houses and orchards bulging with fruit. Through pretty villages and glimpses of great views from the top of the hills. There’s a devil lurking in the lanes, though. The final climb of Carter’s Hill is pretty revolting. Reaching 10-15% over more than half a mile, the hill will eek any remaining energy left in your legs before delivering you for a couple more kilometres to the line. Once at the finish, you’re greeted by one of the organising staff and one of the best selections of free post-ride food and drink you’ll encounter anywhere. Tea, coffee, soup, rolls, cakes… all to the sound of a live band and the chatter of happy cyclists relaxing after a rewarding day’s riding. There’s a fun, end-of-the-summer feel to the Circuit of Kent that has to be experienced first hand, and I’ll be back again next year.